Little House Home Arts: A Special THANK YOU to All and A Winner Picked! A Special THANK YOU to All and A Winner Picked! 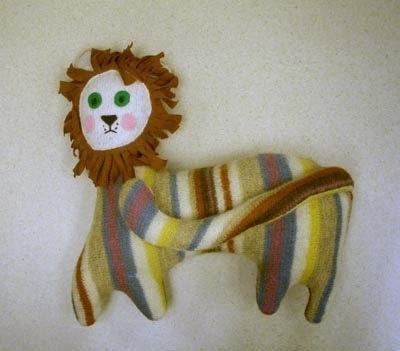 The winner of Karen's little soft-sculptured lion Common-Thread Give-Away for this month is Barbara. She will be contacted by Karen and will soon receive this precious little hand-made toy. As a special THANK YOU to us all, Karen is offering us all a 10% discount on any purchase in her Etsy Shop. Simply use the special code, THANK YOU when ordering. It was truly a pleasure to get to know Karen Heenan and to feature her as this month's guest artist. I always enjoy getting to know other artists and I have enjoyed reading her blogs and visiting her Etsy Shop and On-Line Lawn Sale and hope you did as well. Our monthly Common-thread Give-Away is our way of thanking our readers. We appreciate your interest in our blogs and work! Whoops--"Don't forget to move the butter dish!"